"Invent Your Own Computer Games with Python" teaches you computer programming in the Python programming language. Each chapter gives you the complete source code for a new game and teaches the programming concepts from these examples. The book is available under a Creative Commons license and can be downloaded in full for free from http://inventwithpython.com "Invent with Python" was written to be understandable by kids as young as 10 to 12 years old, although it is great for anyone of any age who has never programmed before. 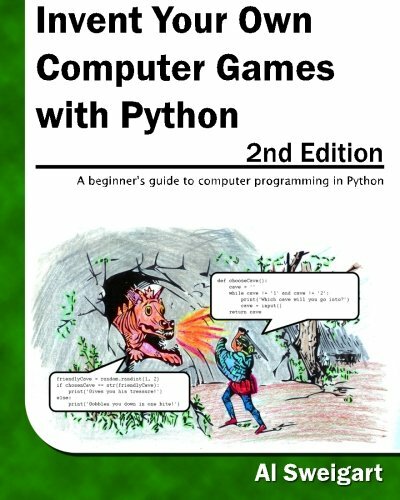 This second edition has revised and expanded content, including using the Pygame library to make games with graphics, animation, and sound.